eMarketing Egypt introduced new solution to help businesses achieving the maximum ROI from their online marketing activities. After decades of companies being paying just for impressions or in best cases for clicks, eMarketing Egypt (Egypt's online marketing consulting firm) introduced new solution to help businesses achieving the maximum ROI (Return on Investment) from their online marketing activities by guaranteeing certain volume of requests delivered to the beneficiary company for a fixed amount of cost. Cost per Request (CPR) is a new service innovation from eMarketing Egypt coming in line with its mission to: "Utilize the online space as a tool to enable businesses - of any size - to achieve their strategic objectives ...". 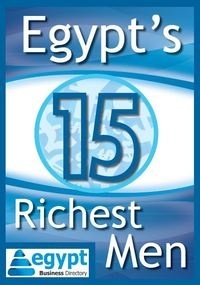 The new solution is an output of sophisticated analysis and intelligence processes that enabled eMarketing Egypt to guarantee - in advance - a specific volume of requests to be achieved through diversified mix of online tools including online advertising, social media marketing, email marketing and others. The new solution had been tested and run successfully with many big name companies and organizations in different sectors including real estate, electronics, donations and others. The CPR process simply starts with agreement of budget/target equation, based on this understanding eMarketing Egypt uses sophisticated analysis techniques including statistical and mathematical models. And then eMarketing Egypt designs the landing page that is attractive and selling, and then run the e-marketing campaign through the defined online channels, and finally the delivery of the agreed volume of requests that are fresh and valid along with their full data. eMarketing Egypt is a leading company in Egypt and in the middle east to utilize the art and science of competitive intelligence in order to design winning online strategies and implement them into integrated online marketing campaigns.